Fire water storage / supply and the return catchment of contaminated fire water is an area of extreme importance as refineries and process plants become more complex and strive to meet ever increasing safety standards. We work with designers and contractors to match the property requirements of the geomembrane liner with the chemical being contained and provide a value engineered solution for the installation works. Examples of our work can be viewed in our Case Studies tab above. We have extensive experience in providing lining solutions for fire water storage and sprinkler tank systems throughout the UK. 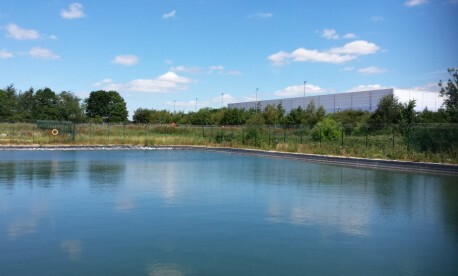 Whether the requirement is for large lagoon storage, underground concrete tanks, sprinkler water stored at height, or tanks where access is limited or restricted, our skilled technicians can offer new linings or a complete refurbishment service dependant on your needs. All of our technicians are IPAF, PASMA, CCNSG and Confined Space trained. 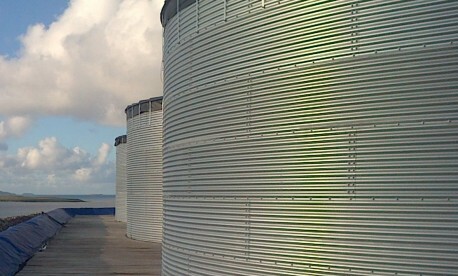 We can also offer complete water storage tank systems on supply only or on an installation basis. Storage capacities for our galvanised steel water storage tanks range from 1,960 litres to 1,212,000 litres. Call us now to discuss your requirements. Please see our section on Water Storage Tanks for more information.